We all have our bad hair day. Unfortunately for some people everyday is bad hair day. Taming your manes can be such a pain, it would require longer hours before you can finally settle into the right ‘do. 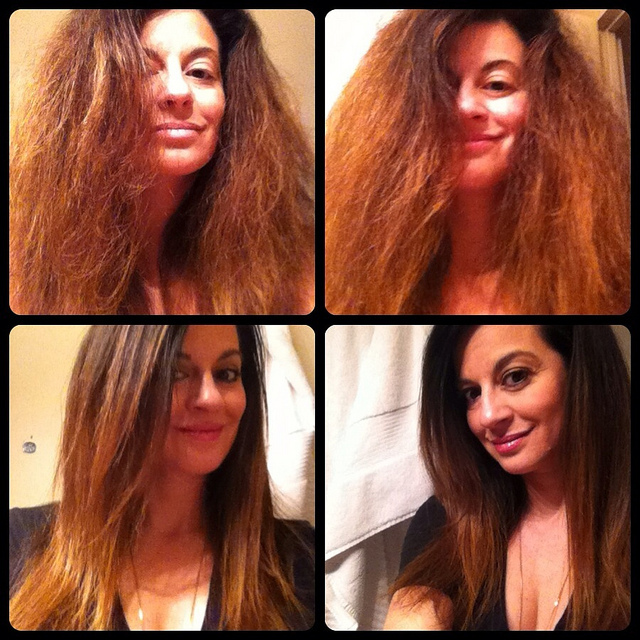 High humidity and rain can often cause hair to become frizzy. Our hair cuticles absorb the extra moisture in the air, thus, it expands and does not lie smoothly as it should. 1. Avoid shampooing hair everyday. If you have frizzy hair, the number one rule would always be to avoid shampooing your hair daily. Make sure to use deep conditioning treatment to keep hair cuticles smooth. Another option is practice scalp washing. It prevents hair from overdrying while removing excess oils and dirt on your scalp. 2. Pick the right smoothing oil for your hair. Smoothing oil to your hair coats the hair follicles. This prevents moisture in the air from being absorbed. If you have wavy or curly hair, extra virgin coconut oil is good because it is heavy and weighs down hair. Just make sure to apply it mid-shaft and down to the tip. Avoid the scalp area as it can cause breakouts in the scalp. Some also swear by Moroccan or Argan oil. Others use baby oil but some raises concern over the safety mineral oil which comprises almost 90% of baby oils. 3. Treat your hair to an all-natural hair treatment. Olive oil has always been a staple beauty regimen. It moisturizes the skin and keeps hair healthy. Olive oil can nourish the hair and leave it shiny. Treat your hair to an olive oil or avocado treatment once a week. To do this, just coat hair with a teaspoon of olive oil (more if you have long hair) or smear mashed avocado to your hair. Wrap hair in plastic or cling wrap for at least 30 minutes and then rinse. 4. Cold water is your hair’s best friend. Rinsing hair with cold water can make hair shiny and less frizzy. Many believe the cold closes hair cuticles, thus, making it well arranged and the light is better reflected. According to a blog though, the effect of cold water is only temporary. Hair returns to its usual state once temperature returns to normal. Some also do not believe this theory. According to them, acid closes the hair cuticles. For this reason, some advises on adding apple cider vinegar to water for rinsing. 5. Dryer sheets and an old cotton shirt are handy for drying hair. Dryer sheets are handy to take out the static in your hair especially during winter time. An old shirt made of pure cotton can also help tame down a frizzy hair by using it to dry your hair instead of a towel. When it comes to taming down wild, frizzy hair, all it takes is to find the right way to manage it. There is simply no clear cut method to do this. It would always be a trial-and-error method on your part.